Vice President Joe Biden speaks to a crowd of supporters at a rally for Missouri U.S. Senate candidate Jason Kander at The Pageant. Vice President Joe Biden swung through St. Louis Friday to extol a largely youthful crowd to send Democratic Secretary of State Jason Kander to the U.S. Senate. Biden spoke to hundreds of people at The Pageant, a popular music venue in St. Louis. His visit comes amid a tightening race between Kander and U.S. Sen. Roy Blunt in a contest that could determine whether Democrats take over the U.S. Senate next year. Kander's aides estimated that nearly 2,000 people came to hear Kander and Biden speak. During his remarks, Biden praised Kander for being part of the “9/11 Generation” that chose to serve in the military after the September 11 terrorist attacks. Kander served as a military intelligence officer in Afghanistan, experience that he’s emphasized in his television ads and in his stump speeches. The above audio features the speeches from Jason Kander and Joe Biden. “He’s a patriot, like I said like my son,” said Biden, referring to his late son Beau Biden. “He came home to serve just as he left to serve. 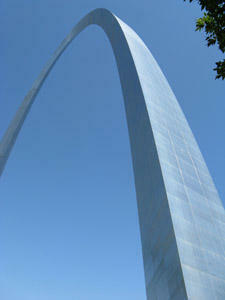 He served the Missouri House and as Missouri Secretary of State. He’s the kind of person we need in politics, in both parties as he said: Young. Optimistic. Missouri Secretary of State Jason Kander greets supporters as they welcome him to the stage. 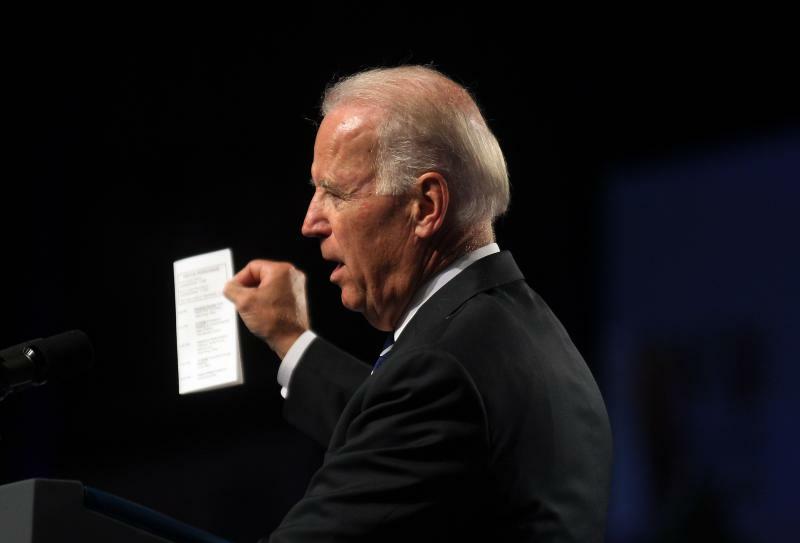 After noting that some people in Washington, D.C. derisively refer to him as “Middle Class Joe,” Biden said that Kander would fight hard to bolster Americans who hang in that economic bracket – especially after the economic recession. As Kander rises in the polls and in the eyes of national prognosticators, the 35-year-old secretary of state received vital assistance from third-party groups spending millions of dollars attacking Blunt. He’s also had high-profile Democrats campaign for him, including U.S. Sens. Cory Booker, D-New Jersey, and Elizabeth Warren, D-Massachusetts. Supporters stand on stage behind Vice President Joe Biden as he addresses the crowd at The Pageant. But Biden’s visit may be the most visible evidence yet that Kander’s campaign is on the radar of the national Democratic establishment. And it may showcase the robust effort to make the Senate as blue as possible if Democratic presidential nominee Hillary Clinton defeats GOP nominee Donald Trump. Vice President Joe Biden asks supporters to vote for Jason Kander. Before Biden and Kander spoke, a huge line stretched around the block to get into The Pageant. Some of the people that made it included scores of young people, including Washington University student Michael Yee. Even though Yee is voting in California, he said there’s a lot to like about the secretary of state’s candidacy. Vice President Joe Biden and Missouri Secretary of State Jason Kander greet attendees at the end of the rally. “Is he going to create union jobs? Is he going to fight right to work? You bet he is!” Louis said. Supporters chanted for Vice President Joe Biden. St. Peters resident Jim Riney said he’s still getting to know more about Kander, he’s enthused about Democratic chances to retake the Senate. Missouri Secretary of State Jason Kander speaks as Vice President Joe Biden, left, listens along. Vice President Joe Biden and Secretary of the Interior Sally Jewell will be in town Tuesday afternoon to visit the grounds of the Gateway Arch and check out the CityArchRiver project. The project includes the long-awaited “lid” over the interstate highway section that now cuts off the Arch from the rest of downtown, including the historic Old Courthouse. The aim is to create a picturesque greenway. Vice President Joe Biden today lauded the nation’s military veterans who have fought battles overseas, but he made clear that there’s a limit to what the United States’ military can do. “It’s time for those we liberated to stand up and put themselves together,” Biden said at the end of a lengthy speech to about 12,000 members of the Veterans of Foreign Wars gathered in St. Louis at the America's Center convention hall downtown. Vice President Joe Biden says he’s well aware that the last eight years haven’t been easy for the nation’s workforce. In remarks on Friday at a roundtable discussion at LanchCode in St. Louis, Biden says the economic downturn in the late 2000s “clobbered” the middle class. And that had tangible consequences for struggling cities. It’s a dreary, rainy day in Troy, Missouri, and Jason Kander is about to meet a small group of veterans at the Roasted Bean Coffee Shop. In a weird, parallel universe, the 35-year-old Democrat would be stumping for his second term as secretary of state. But Kander’s aiming higher and is focusing his time and energy on trying to unseat U.S. Sen. Roy Blunt. Few national pundits believed Kander’s gambit would be worthwhile. They looked at presidential results and polls, and concluded (wrongly) Missouri was just too Republican for a Democrat to prevail. But Kander never bought into that type of assumptive prognostication. And now, Kander is within striking distance of being a building block for his party’s return to power in the U.S. Senate. 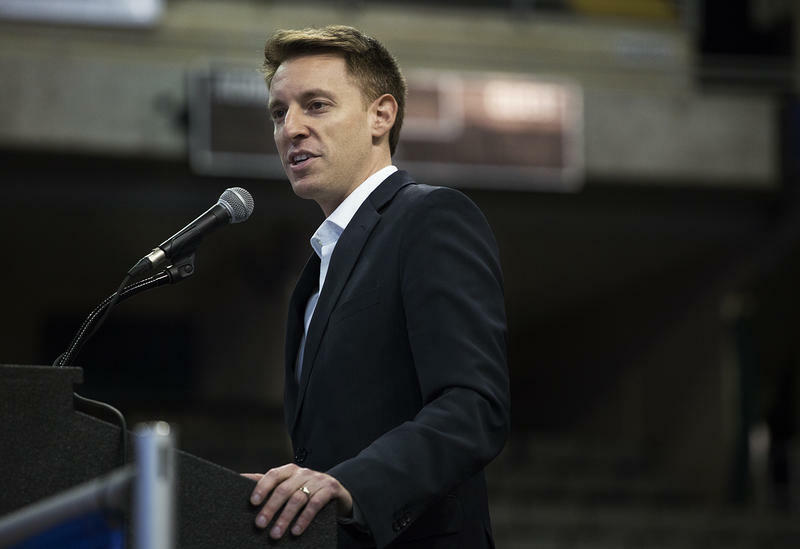 The campaign for Democratic presidential candidate Hillary Clinton is sending $500, 000 into Missouri to aid U.S. Senate candidate Jason Kander and gubernatorial nominee Chris Koster. Clinton campaign manager Robby Mook said Monday the campaign is assisting Koster and Kander even though it acknowledges that Republican Donald Trump is expected to carry the state. The money is to be spent on radio ads, fliers and digital advertising.